Slip into cruise control this Oxford Street basement cocktail bar. When the entire crowd in an underground bar is populated by a single demographic on a Tuesday night, someone is definitely onto something. We're talking about Della Hyde, a new addition to the Darlinghurst end of Oxford Street, and that someone is obviously employed by the team behind it, Applejack Hospitality. 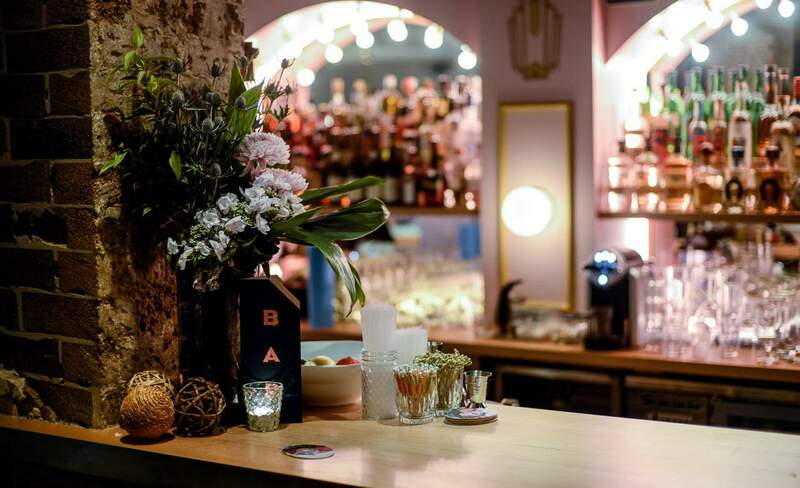 The basement cocktail bar is the newest venue from the group, who are responsible for previous hits such as Bondi Hardware, The Botanist and The Butler. Even without the backstory, it's too shiny in here not to get the whiff of something larger at work. All traces of Darlinghurst basement patina have been eradicated from the space, as have any signs that it was once nightclub Phoenix. It's the kind of bar that asks you to perch, not sit. And just like the Hyundai i30 Trophy edition that you know more than a few of the 25-34 female clientele has parked at home, Della Hyde is the Japanese car of bar experiences where all the fancy extras come standard. Like most people who buy one of these cars will tell you, Della Hyde is reliably good. The interiors are Chiswick-does-Darlinghurst with a hint of colonial la-di-da, and the service has you informed about the seasonal cocktail list and a Poach Carter ($18) in your hand before you can say spiced rum, poached apricot, orange, lime and bitters. It is here, though, where the sweetness of ease becomes the ease of sweetness. Both the Poach Carter and Count Negroni's Cold Drip (a mix of cold drip-infused gin, orange, sweet vermouth and orange bitters) rely on a little too much sugar to help the medicine go down. Perhaps a greater emphasis on the spiced and bitter notes would provide a more desirable frisson, and create drinks better suited to sipping, not slurping. The next logical step after sweet booze is fried bar snacks with mayo to dip them in. In that respect, both the pea and pancetta croquettes with harissa mayo ($12) and the rosemary parmesan fries with tomato aioli ($10) fit the bill. But it's the falafel that wins out — and at $16 for four thumb-sized deep-fried pellets of chickpea mash, even with a pumpkin, feta and herb salad, you'd hope it would. Then comes the smoked meat sub ($18). The Bread Top-esque roll is filled with wisps of brisket and no-apologies commercial sauce, and comes — and this is the best part — sliced into thin fingers. It's a dandy touch, a clever sleight of hand glimpsed through the window of a evening slipping away on cruise control. Drive away, no more to pay.